As online communities and social media have thrived in recent years, our photos have become an integral part of our online experience. For users into high quality, high resolution photography, there is no shortage of excellent professional grade cameras that are becoming more affordable by the day. The powerful cameras in smartphones can also give these professional grade cameras a run for their money, by offering the advantages of being light and convenient. However, no matter if you are using your smartphone or a standalone camera, a major issue that has arisen is the management of the considerable amount of photos that are taken. For example, when using our smartphones, taking photos and sharing them is extremely convenient but comes with inherent storage limitations. 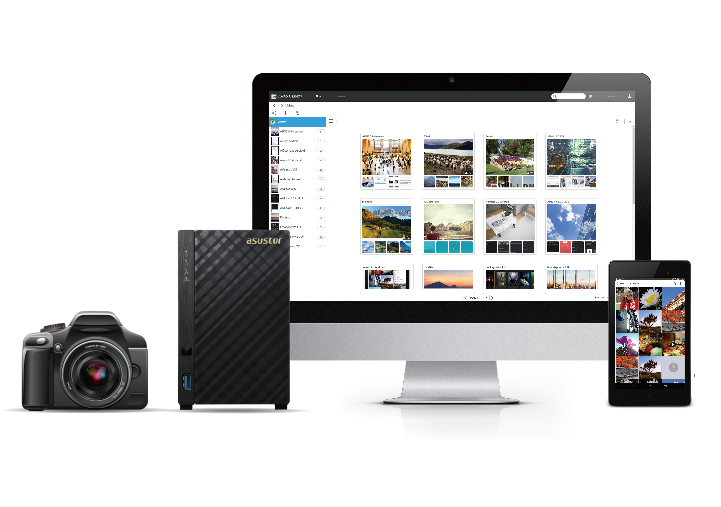 ASUSTOR NAS offers users a cloud storage solution that allows them to centrally store all of their photos in one place while also providing the Photo Gallery App that allows users to effortlessly manage and share their photos. Managing digital photos has always taken a considerable amount of time. The primary reason for this being that the photo files are spread out over a variety of devices and places such as cameras, phones, Web pages, email and social media. In recent years, NAS (Network Attached Storage) has become a widely recommended solution to this management problem as it provides centralized storage and backup for files that are spread out among various digital devices. Photo Gallery is a free NAS App developed by ASUSTOR that provides a plethora of useful features and functions. In addition to the main storage and backup functions, users can also create free online photo albums that significantly decrease the time required for album management, provide password security and offer stress-free sharing. Photo Gallery features an easy-to-use intuitive user interface along with album covers consisting of a single larger photo and four smaller thumbnails of recently added photos, allowing users to quickly identify the contents of the album. Internally, the albums feature a modern cascading browsing design. ASUSTOR has also recently released Photo Gallery version 2.0 featuring even more powerful and comprehensive functionality. Here, we will introduce the key functions for Photo Gallery, allowing everyone to manage their photos easily and conveniently with ASUSTOR NAS. After taking photos, many people will then edit them on their computer before creating folders to organize them by date, location, activity, etc. Some will also create subfolders to further organize their photos by parameters such as the photographer or time the photos were taken before finally backing them up to their NAS. ASUSTOR NAS provides direct drag and drop file management that maintains the original multi-level folder structure of any folders that are transferred to the NAS. Photo Gallery also uses a folder directory structure to create albums, making it extremely convenient to instantly create multiple albums or even hundreds of them. Dragging and dropping folders to the NAS for backup via My Network Places (network drive). Photo Gallery provides users with 2 viewing modes: Album and Browsing. When in Album mode, no separation is provided between different subfolders, with all photos being visible for a seamless browsing experience. Album covers consist of a single image along with 4 smaller thumbnails of recently added photos. Administrators can configure album covers for easy identification while guests can get a preview of an album's contents from the 4 smaller thumbnails displayed. Selecting an album will cause a toolbar to be displayed in the upper left hand corner of the interface, giving users the functions to edit the album name and description, edit permissions, upload, download, move, copy, select all and deselect all. After opening an album, administrators will be able to enter an album description in the field above the photo wall. In Browsing mode, photo thumbnails replace the older folder icon display style. Users can use the original folder directory structure to browse photos. Open an album, select a photo to use as its cover and edit the album description. Have too many photos? Don’t know how many files are in your folders? Photo Gallery can help you keep track. Not only is a photo count displayed in the bottom right of each album, but also in the concealable side panel as well. In Album mode, the side panel will display the album thumbnails, allowing you to identify their contents at a glance. In Browsing mode, the side panel will clearly display the folder directory structure. No matter which viewing mode is in use, users can quickly click on the side panel at any time to view albums, folders and the amount of photos contained within them. Concealing the side panel will also give users more space to view photos. Photo count is displayed in the side panel and bottom right of each album. Furthermore, users can adjust the browsing interface according to their preferences. Parameters that can be adjusted include the thumbnail proportions of the photo wall (1:1, 4:3, 16:9, Photo Wall), the photo order, and overall zoom. The page change function can be found on the bottom right of the interface along with options for configuring the number of photos to be displayed on a single page, allowing users to make appropriate adjustments for an optimal and comfortable browsing experience. Conceal the side panel for more space when viewing photos. As you accumulate more and more photos, having to find specific photos can become a challenge. 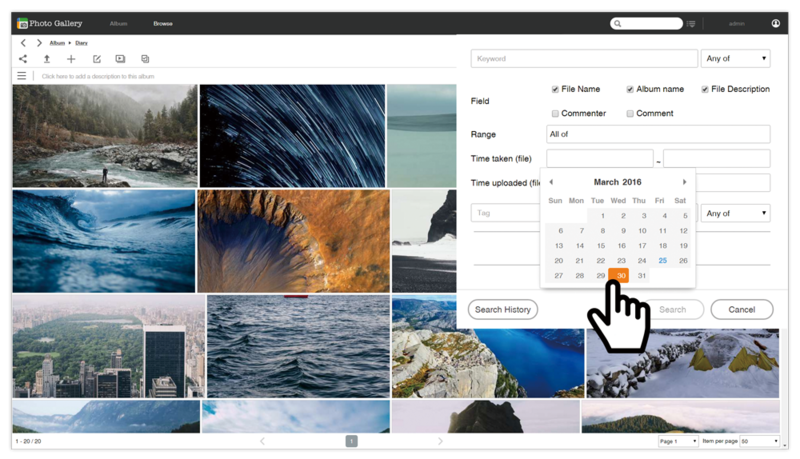 Photo Gallery features a built-in smart search engine that allows you to find files using keywords, fields (filename, album name, file description, commenter, comments), parameters (album, folder), file creation time, or tags for advanced searching. Find the photo you’re looking for in an instant, no matter how many albums and photos you have. 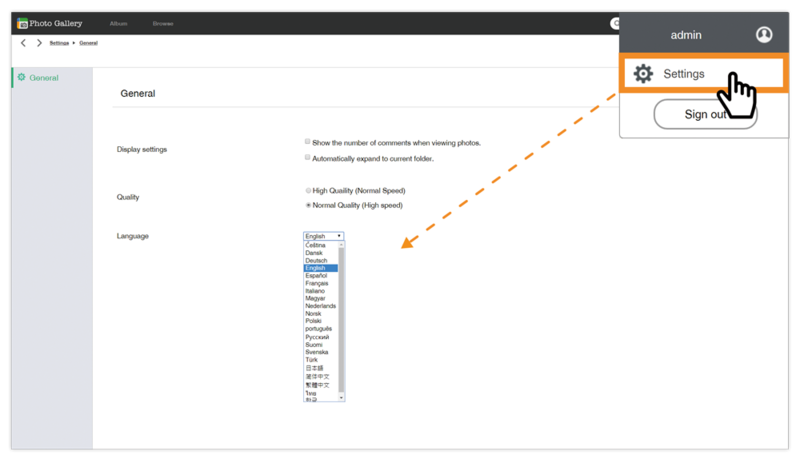 The drop down menu provides multiple options for searching allowing users to quickly find the photos they need. Everyone loves the convenience of their smartphones. However, after taking many photos, the amount of storage space on your phone may start to become an issue. The AiFoto mobile app not only features all the great functions of Photo Gallery but is also able to instantly save and upload any photos you take with your phone to your NAS. Simply log in to your NAS with AiFoto, select an album and folder and you can begin taking photos! Both AiFoto and Photo Gallery also support the convenient automatic photo rotation function. If you do not wish to use the instant save and upload function in AiFoto, you can also separately configure backup jobs for photos and videos from your phone. If the instant upload mode is enabled, videos and photos from your phone will be continuously synced to a specified folder in Photo Gallery on your NAS. Log in to your NAS with AiFoto and enjoy instant uploading of any taken photos. When using social media applications or public cloud storage, data security is always a concern. When choosing to use a NAS and creating personal cloud storage, administrators can configure guest permissions for more secure and stress-free file sharing. On ASUSTOR NAS devices, the user accounts are extended to Photo Gallery, allowing administrators to easily configure browsing permissions. Combined with the one-click sharing function, users can quickly and safely share albums and photos to social media or send them via email. All content is shared via URL links, making it convenient for others to access online albums, browse photos, view the detailed information about photos and leave comments. In addition to the one-click sharing to social media function found in Photo Gallery, users can also use AiFoto to share photos to mobile apps like Instagram, WhatsApp and more. When browsing a single photo users are able to zoom in up to 500%. The right side panel provides functions for tag configuration, EXIF information and a comment section. When viewing larger photos, scroll mode can be activated to view the finer details of the photo. 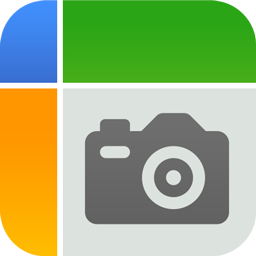 Photo Gallery provides preferences settings, allowing users to configure browsing preferences according to different devices and network environments. For example, when using Photo Gallery under more optimal network conditions where the loading speed is no issue, users may prioritize photo quality and choose to browse with higher resolution thumbnails. If network conditions are suboptimal or when using a smartphone and loading time is of priority, users can choose the lower the quality of the thumbnails for a smoother browsing experience. Furthermore, each user can customize the interface language and turn off commenting according to their preferences. In the preferences section you can configure the browsing quality, interface language, whether or not to hide the comment section and which folders to automatically open. Digital photography is becoming a bigger part of our lives every day and our photo collections are only going to grow. These 7 tips for using Photo Gallery can help users to simplify many common photo management issues, while the convenient AiFoto mobile app can help users to save and share all the fun memories they capture in their everyday lives. When ASUSTOR's Photo Gallery, users need only spend a little time on management while enjoying the convenient benefits of having all their photos in their very own private cloud storage space. **Photo Gallery 2.0 is suitable for use on all ASUSTOR NAS devices running ADM 2.5.2 BDF1 or later versions. Combined with the AiFoto 2.0 users will be able to completely use all of the new functions in Photo Gallery 2.0.